Me, wearing my super hero cape, stepping into my super powers that allow me to have brave, honest conversations. No one is born knowing how to brave, honest conversations about issues that really matter. This isn’t a skill anyone comes out of the womb with, and being in a particular position or role doesn’t mean you’ve figured out how to talk about tough stuff. It takes a combination of skills, knowledge, attitude and behaviour to be able to really have brave, honest conversations with yourself, in your organization, community or family. It takes deep self-awareness to have tough conversations, because what I step into when I have these conversations is different than what you will step into. We are different people, and our strengths are different. You need to bring your whole self to brave, honest conversations, and leverage your own special gifts and strengths in service of talking together to find solutions about complex problems. I like to think of these special gifts and strengths as your very own super power, that you step into and embody in emotional, challenging, high stakes conversations. A participant finds her super power and puts on the super hero cape. What super power allows you to have brave, honest conversations? Cutting to the chase! Getting to the heart of the issue. This is a beautiful list of attitudes, behaviours and skills. What strikes me about these super powers is that when the people who hold them step into them fully, they are powerful, committed and in service to others. These things that are about them being their most authentic become about more than them alone. They extend their impact beyond themselves into the world around them. Their super powers create positive impact and possibility because they are committed to someone else. We live in a world intensely focused on personal growth, self-help, individual needs and desires. In that world, we can get trapped in our heads, worrying about our needs, fears and anxieties. Yet when we step into our best selves in service to others we become more possible, more powerful than we were before. 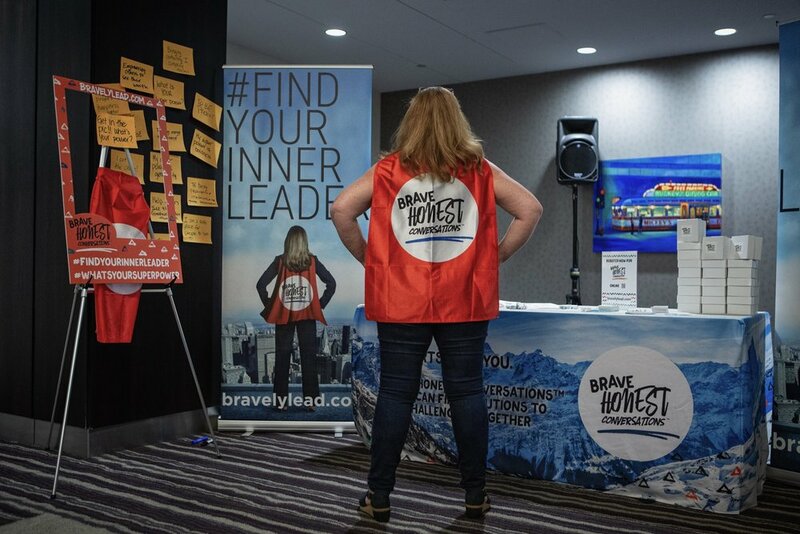 · What is your super power that allows you to have brave, honest conversations? · What gifts and strengths make you your most powerful and possible? 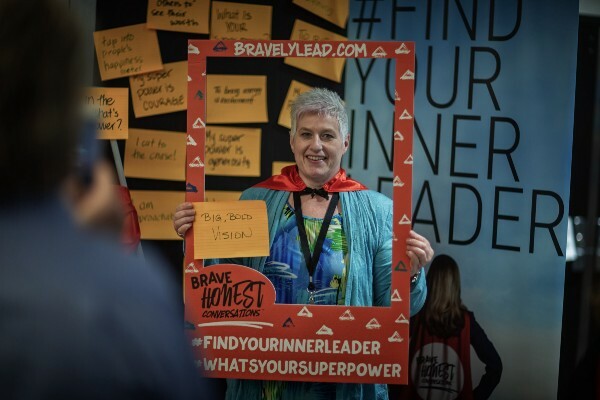 · What can you step into that will allow you to connect with others in brave, honest conversations?